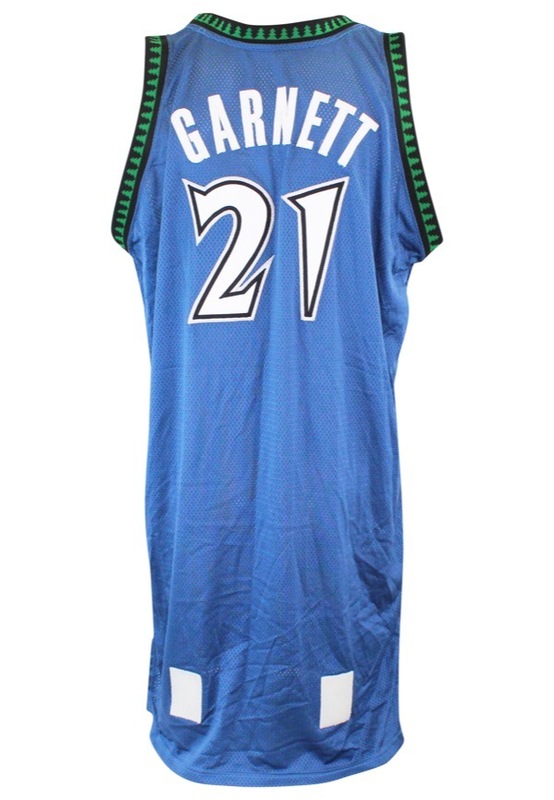 Future Hall of Famer Kevin Garnett is the Minnesota Timberwolves all-time leading scorer. Garnet is a 15-time All-Star, won an NBA MVP, a Defensive Player of the Year Award and is an NBA champion. On the front left tail is the Reebok manufacturer’s tag with four flag tags attached: “50”, “4” L.B.”, “PLAYDRY” and “2004-2005”. 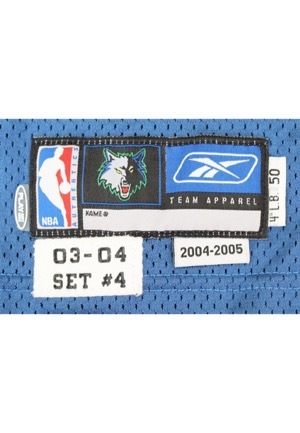 Below is a strip tag with, “03-04 SET #1” printed on it. This tag was resewn by the team by the equipment manager for inventory purposes. 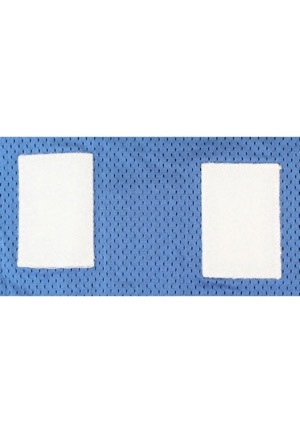 On the front and back lower third of the jersey are four white custom velcro patches. On the upper left chest is the official “NBA” logo embroidered. 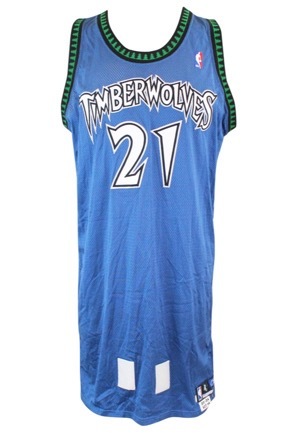 Across the chest reads, “TIMBERWOLVES”. Adjacent below and on the back is the player number “21”. These are done in white on black on silver triple tackle twill. Across the back reads the player name, “GARNETT” in white tackle twill sewn directly onto the blue jersey. This jersey is properly tagged, was presented to us as game-used and in our opinion shows appropriate use.